As of 2015, the IBC now permits multi-story concrete podiums. At first, this was mostly of interest because it permitted even taller “double podium” apartment buildings, with up to eight stories framed mostly in wood. 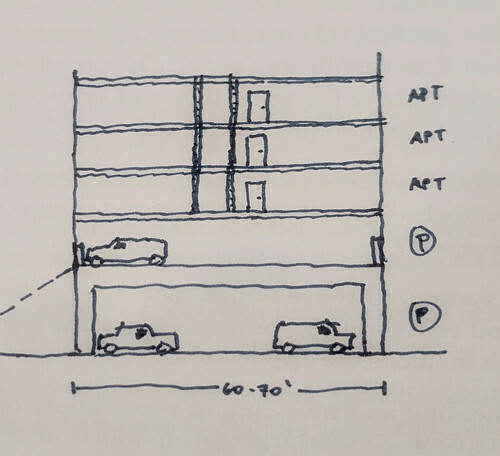 This diagram (by Nadel, Inc. for Multifamily Executive) shows the effect between The Podium and The (Double) Podium: you can squeeze an additional floor in above grade, and because it’s concrete (heavy line) it can be used for residential, retail, or parking. Yet using that magical concrete-framed second floor for residential (which could just as easily be wood-framed) seems like a bit of a missed opportunity. Instead, the second floor could be a mezzanine parking level for the wood-framed residential above — as was done in the mixed-use Grey House at River Oaks District pictured above, or in this mixed-use development on LA’s Olympic Blvd. The real breakthrough possibility for the parking mezzanine isn’t atop retail, though: it’s atop yet more parking. It just so happens that a 65-75′ wide module fits either a double-loaded apartment building or a double-loaded parking aisle. 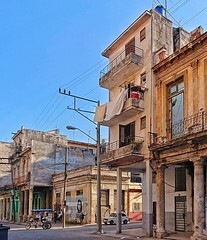 Therefore, a four-story building (three floors of Type V residential, one level of parking) can be stacked atop an existing aisle of parking — without diminishing the existing parking lot, and without excavating any parking. It’s the suburban infill version of “have your cake and eat it, too”: keep your parking and add infill housing, too. In Seattle and Portland, where there are very good markets for residential development, Sienna convinced a variety of non-residential building owners to sell the air rights over their parking lots or roofs for housing. In Portland’s desirable and compact Northwest neighborhood, Sienna saw the parking lot of a specialized medical center as a potential housing site. 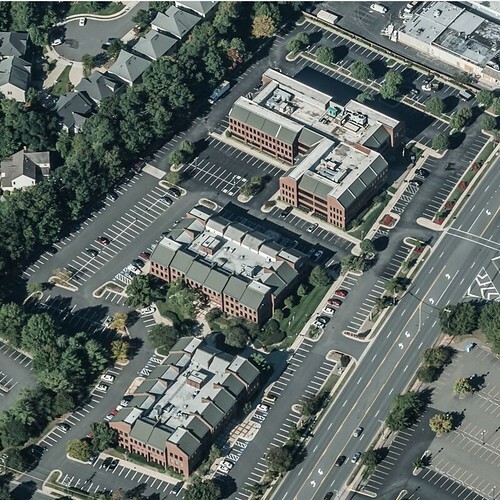 After producing a pro forma, the firm approached the owners and showed that it could provide them with a covered, forty-three-space parking lot (with only three fewer spaces than before) and a million-dollar profit in exchange for stacking an additional layer of parking (with a separate entry) and two stories of condominiums. The built project, Northrup Commons, screens the parking with duplexes entered from the streets and adds two floors of apartments. This turns out to be tough to replicate elsewhere. Because the residential comes with its own parking requirement, fully replacing the on-site parking requires adding parking somewhere else — either building a new parking lot elsewhere, or digging underground, at super-high cost ($11 million at one Seattle project). Most of the Sienna projects, including Northrup, used sloping sites (common in the Northwest) to tuck one parking level partially or fully underground. * A rough assumption here is that each 1,000 sq. ft. apartment would have one parking space, which works out to about 3:1 residential:parking floor space. The ratio seems to work for the Houston example, which promises its residents the ability to park in-building rather than having to venture outdoors. Sufficient parking for rich Houstonians is probably enough for anyone. I’ve recently published several articles over at GGWash. 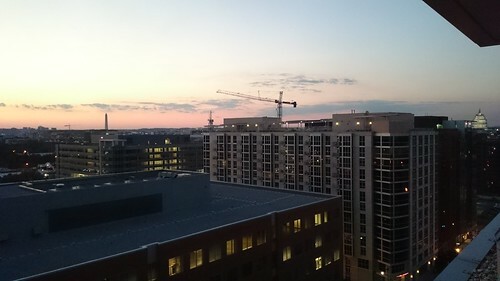 “Sprawl is slowing, but that doesn’t have to mean higher housing prices.” The downtown high-rises under construction only tell half the story of Greater Washington’s housing growth story. While all those cranes are easy to see from afar, what isn’t immediately apparent from the airport (but might be from a plane) is that many fewer acres of the countryside around us are being bulldozed for subdivisions–which for the past century has been where most lower-cost, low-rise housing was built. As a result, the region as a whole isn’t building enough housing for our rising population… Not only is supply overall not keeping pace with demand, but a large fraction of the new supply is in the housing market’s priciest segment: expensive high-rise construction, on expensive downtown land. “DC has more historic buildings than Boston, Chicago, and Philadelphia combined. Why?” Nearly one in five properties in DC are protected by local historic designation laws. DC is so prolific at handing out historic designations that we have more historic properties than the cities of Boston, Chicago, and Philadelphia combined, which together have almost eight times as many properties as DC. While this policy has ensured harmonious architecture across much of central Washington, it also means that Washingtonians are much more likely than residents of other cities to have their construction plans delayed or denied on subjective grounds by a historic review board. “Historic preservation in DC saves the loudest neighbors, not the finest buildings.” DC’s surfeit of historic structures results from several factors, notably the broad application of rather vague criteria for designation. 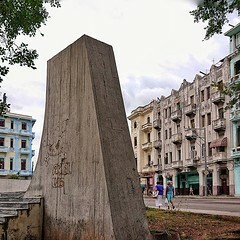 As Roger Lewis has written, “the HPRB decision is inevitably a judgment call because much of the evidence for historic designation is inherently subjective.” Since every resident “squeaky wheel” is invited to request historic designation for just about any site in the District, many do — and overwhelmingly, they succeed. “DC’s countless thirtysomething office buildings stare down mid-life crises.” No other region can match Greater Washington’s density of 1980s and 1990s office buildings — we built over a million cubicles’ worth, almost as many as in the much-larger New York and Los Angeles regions. Now, these buildings are facing mid-life crises; many require substantial additional investment, as key building systems (like air-conditioning, plumbing, elevators, and roofs) require overhaul or replacement, just as the office market has changed. “Not every obsolete office building is cut out to become apartments.” Some, but not all, of these old offices can become residences, depending on their location, price, and layout. Despite considerable media coverage, office conversion has been comparatively limited in greater Washington for a variety of reasons, including a relatively healthier office market and a lack of specific incentives for the practice. Residential conversion offers some promise, but will not be a panacea for either the over-supply of offices, or the under-supply of affordable homes, because not every obsolete office building can be converted to housing. “Metro needs a loop to lasso riders from this growing corner of DC.” The way the District is growing is creating another rail bottleneck on the other side of town that will have to be addressed in the future. The Capitol Riverfront is easily the fastest-growing part of DC right now, and by some accounts one of the fastest-growing neighborhoods in America. If all 11,978 new housing units proposed within the Capitol Riverfront get built, the area around Navy Yard station would have the largest household population of any Metro station. Metro’s ridership forecasts, which now factor in development proposals, foresee that the area’s rapid growth might require additional investments, like a new subway line. “How are the Wharf’s shared spaces working out?” When the Wharf opened last month, it instantly became the largest expanse of “shared space” streets in the country. 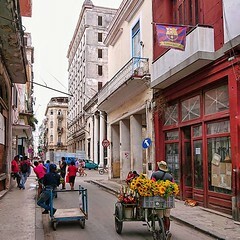 Over the past few weeks, it seems like these streets are largely working as they were designed. Even though a few of our commenters were skeptical about whether the approach would work here, so far there haven’t been any major complaints or adjustments needed. “The GOP tax plan would make housing and infrastructure more expensive.” Eliminating Private Activity Bonds and New Markets Tax Credits, as the House GOP’s tax code overhaul proposes, would have deep ramifications for funding infrastructure and affordable homes in the region. “The latest Republican tax bill changes commuter benefits, but probably not yours.” Tax law will only indirectly affect most area commuters. Site availability, not incentives, are of “paramount importance” to Amazon. A lot of the early press around the Amazon HQ2 announcement zeroed in on the usual economic-development narrative of a company shopping around for incentives. Yet a close reading of the RFP reveals that incentives are actually a middling concern for Amazon. The RFP reveals (as Benjamin Romano also writes) that Amazon feels that it’s outgrown Seattle; they feel as if they’ve hired everyone in Seattle who could work for them, and growth requires tapping into a new labor pool. The company isn’t hungry for cash; it needs people, space, and speed. 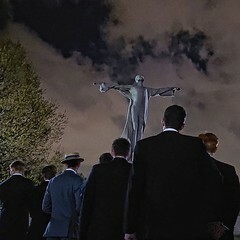 So, what locations make sense on the East Coast? The RFP only calls out two criteria as “of paramount importance”: fiber data service, and having a shovel-ready site of 0.5-1.0 million sq ft, with on-site or adjacent expansion to 8 MSF. The site not only should be zoned already, it needs to have utility capacity in place. The 2019 timeline leaves zero time for rezonings, public hearings, geological surprises, soil contamination, lease buy-outs, tenant relocation, wish-upon-a-star transit lines, etc. It means either clean dirt that’s ready to go, or a monster of a cold-shell building that already has construction crews hard at work. It’s hard to overstate how enormous this project is. It’s more than the total commercial (retail, office, hotel) space that now exists at National Harbor. It’s more than the total commercial space contemplated in the long-range plans for Downtown Columbia or White Flint — much less what’s already gone through zoning approvals. It’s bigger than the entire Capital One campus plan at the McLean Metro, or Under Armour’s Port Covington campus plan in Baltimore. It’s more office space than even what could be built under the Navy Yard area’s zoning. It’s twice as big as the Pentagon. Most local sites might have shovel-ready space for Phase 1, but not necessarily plans in place to accommodate phases 2-3-4. Only two come to mind: Tysons Corner and Crystal City-Pentagon City. McLean station: Scotts Run, next to Cap One, is the largest single project at Tysons with approvals for about 4.5 MSF of office. Another 0.5 MSF has been approved in two parcels to its southwest, and the Mitre campus can also expand. 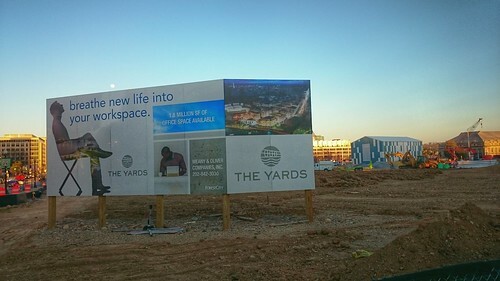 Tysons Corner station: Lerner has entitlements for an additional 2.3 MSF of office south of the Galleria, Arbor Row has approvals for another 1.1 MSF to its north, and Macerich has approval for another 0.5 MSF office tower south of the station. The Galleria itself hasn’t been rezoned yet, although one idea that’s been presented adds about 1 MSF of office; there are also sites to its west (closer to Greensboro station) that would still be within walking distance. Crystal and Pentagon City have seen 20,000+ federal jobs in defense and homeland security depart since BRAC; there’s over 2 MSF of vacant office available today. What’s especially notable is that most of the offices are already controlled by one very interested landlord (JBGS). 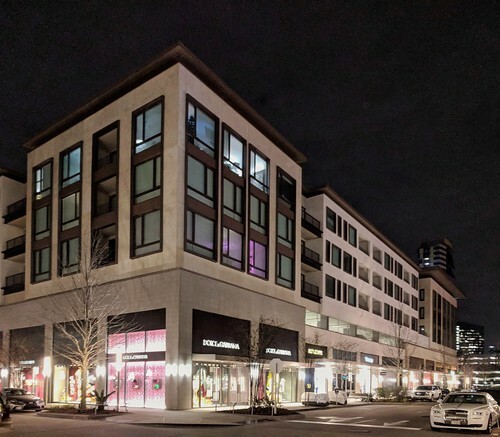 There aren’t many closer analogues anywhere in America to their partnership with Vulcan in South Lake Union: one deep-pocketed owner, one neighborhood, and a placemaking/planning framework that forecasts tremendous growth. Crystal City has long-term plans to renew the existing buildings and expand office space by about 5 MSF net, including active or expired plans for 0.7 MSF at the vacant 1900 Crystal and 0.65 MSF at 223 23rd St. There’s also about 1 MSF vacant today, and over 1 MSF in 2018-2019 lease expirations that could free up sites for incremental additions. Pentagon City has an entitled site for 2 MSF at the shovel-ready PenPlace, and two adjacent sites are also approved for ~1 MSF of office apiece: Brookfield’s TSA/DEA block (leases are up in 2018-2019) and Kimco’s Costco site. These sites compare favorably to other leading East Coast contenders: Schuylkill Yards or UCity Square in Philadelphia and Seaport Square in Boston are by far those cities’ largest sites, with superior access to intercity transport and higher ed, but both are approved for only ~3 MSF of office. (The Philadelphia sites are adjacent to air-rights parcels that may be available later, and for which plans have been floated, but the metro area has a considerably smaller technical talent pool.) The Boston submission ended up focusing on the Suffolk Downs racetrack, which is centrally located within the region but clear across downtown from the region’s plush suburbs and educational institutions. The obvious sites in downtown Atlanta, like the Gulch, are still visions rather than plans, with fragmented ownership and poor infrastructure/access. It appears 2 MSF of Class A office is vacant downtown, but by far the largest and highest-profile block is Bank of America Center, a mile north — and much closer to Tech and Midtown. Too bad the Gulch isn’t on the other side of downtown. Colossal loft conversions might fit the bill elsewhere, as with the warm shell of Chicago‘s Old Main Post Office — one of the country’s biggest buildings at 2.5M sq. ft., and so impossibly huge that its size had been the stumbling block to several previous plans. It happens to sit astride a subway line, highway, and fiber lines, and within a block are three approved plans for five new build-to-suit office towers. It could also spread across a few six-figure spaces on the Brooklyn waterfront; although the area’s comparatively small office market isn’t promising, industrial space is relatively plentiful. The Dallas Morning News’ old printing plant and the mostly-empty Dallas Union Station building have a combined 425,000 square feet, and happen to sit next to not just many empty lots but also an iconic sphere thing. Which locations have a deep enough talent pool to draw from? A large labor force, primarily technical but also executive, is another “required” factor. Crain’s Detroit points out that “Amazon’s biggest business impediment is labor”: it has over 6,000 current vacancies in Seattle, 75% of which are technical. Real estate brokerage CBRE recently published a report, based on BLS data, comparing cities’ “tech talent” (“software developers and programmers; computer support, database and systems; technology and engineering related; and computer and information system managers”). 50,000 Amazon employees will include tens of thousands of software engineers, yet only 10 metro areas have more than 100,000 tech employees to begin with. For context, consider Amazon’s current need for 4,500 technical employees: hiring those people in Pittsburgh today would require poaching 11% of its tech workforce, 9% in St. Louis, or 7% in Raleigh. In Toronto or New York, you’d only have to convince 2% to leave their jobs, and in the Bay Area or Washington-Baltimore it’d be less than 1.5%. Regarding costs, CBRE did an interesting analysis looking at the cost of running a 500-employee technology office. DC, Boston, and Seattle all come in at about the same price; SF is about 20% more. The big winner in that table is Toronto, with its large workforce and low wages — which more than offsets the relatively high cost of real estate there. 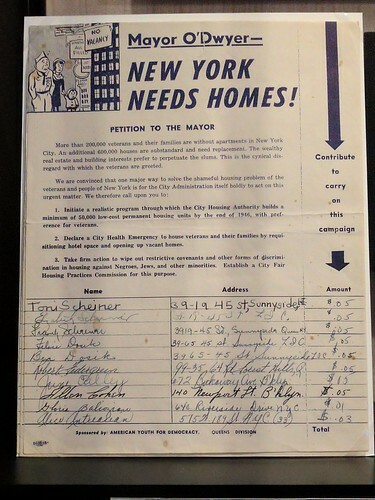 In 1946, even the Communist Party USA agreed that the obvious solution to a housing shortage was to build housing. Why is that controversial now? That’s as dishonest an answer to the question as Tommy Lasorda, in those vintage Ultra Slim Fast commercials, saying that the secret to out-of-control weight is spaghetti-and-meatball dinners — the daily treat, rather than the three calorie-restricted, high-fiber shakes that you choke down the rest of the day. He pins the blame for metro Portland’s housing affordability crisis — and, by extension, the broader housing-affordability crisis afflicting bicoastal Blue America — on property speculation, saying that developers are bidding up residential land prices around transit in hopes of winning rezoning to build multifamily TOD. Thus, his call for downzoning, to frighten off those vile speculators. There certainly exist a few situations where transit-oriented speculation distorts markets — I’ve written about these pretty extensively in GGWash, pointing to why “parking craters” surround Metro stations instead of 8-story high-rises. But these are fringe situations, affecting only a few square miles across the entire country. Even when I lived in the highly desirable, transit-accessible neighborhood of Bucktown, where zoning was infamously corrupt, the upzones that the local alderman brazenly sold did not result in the dumpy single family houses being replaced with parking-light apartments, as Chuck’s hypothesis holds. In fact, the exact opposite occurred: dumpy, parking-light apartments were replaced with swanky single-family houses! In countless other areas which have been downzoned, housing prices have increased regardless of speculation. Why? Because the price increases in Bucktown, and on Portland’s east side or Los Angeles’ west side, have little to do with transportation (Chuck’s bailiwick) — and much more to do with rising income and wealth inequality, both within and between regions, combined with a largely static land-regulation regime that hasn’t adapted. The gains accruing to the wealthiest means that the wealthy can bid up housing prices, substantially raising housing prices in high-income regions where both demand and barriers to entry are high. As I wrote earlier, this imbalance has held on for decades in some cities, particularly in coastal California, and the political dynamic that sustains it appears to be utterly implacable. The increase in productivity dispersion creates flows of workers towards high-productivity metropolitan areas, driving local house prices up because of limited housing supply. Conversely, households flow out of low-productivity areas, driving local house prices down. This increases house price dispersion. The situation has gotten even worse since the 2007 crisis, with housing prices in wealthy Census tracts increasing almost twice as fast as those in more modest areas. Sure, pointing the finger at transit, multifamily, and TOD burnishes Chuck’s prickly-independent bona fides, a long tradition in Upper Midwest politics. But he’s searching only within his narrow sphere of expertise (transportation) to find the cause of problems that have much larger global causes — and which don’t lend themselves to his hyper-local bootstraps approach. Update: Portlanders have already studied and diagnosed their problem — as in Bucktown, it’s inequality and McMansions, not multifamily zoning. Their solution is not downzoning, but rather to switch up the zoning in lower-density neighborhoods, increasing the number of units allowed while reducing FAR allowed. 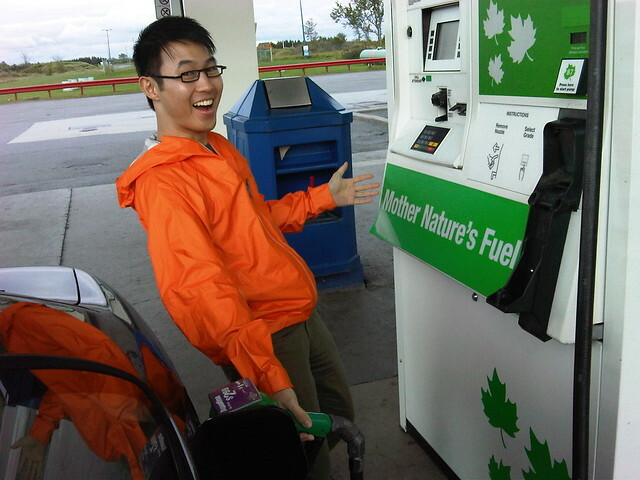 Who wouldn’t be happy about Mother Nature’s Fuel? How is DC’s current gas tax computed? It’s 8% on the wholesale price per gallon… with a floor of $2.94, so that the revenue doesn’t drop below the prior rate of $0.235 per gallon. Since 2015, the gas tax rate has been at that floor. Why did DC change how its gas tax is computed? Here’s some background from DCFPI about why that changed. Maryland and Virginia also shifted to a percentage basis around the same time. When did the gas tax computation change? How else could the gas tax be computed? Doing so would technically put a “carbon tax” on the books without appreciably raising existing tax rates, and providing a very small incentive for biofuels. Of course, a recalculation is also an opportunity to harmonize rates with a neighboring jurisdiction… see below. How does DC’s gas tax rate compare to its neighbors’? Maryland’s current rate is equivalent to $0.335 per gallon. (Yes, that’s $0.10 higher than DC’s.) Virginia’s current rate is $0.162. How might DC gas station owners react to an increased gas tax? “We are really a real estate company,” he says. “We’re in it for the real estate.” Mamo considers the coming transition inevitable, given the high cost of D.C. real estate and predictions about “peak oil,” alternative fuels, and electric cars that might eventually make gas stations obsolete. “Long term, the real estate is where the value is,” he says.